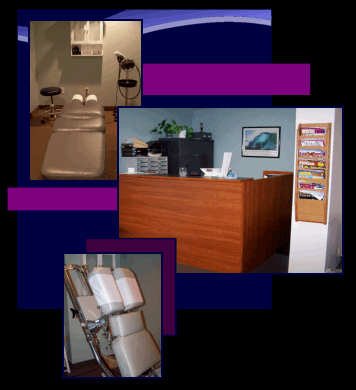 At Pittsford Chiropractic, we make every effort to provide service and treatment that is second to none. We strive to always treat our clients in the way that we ourselves would wish to be treated. The doctor would never ask a patient to do anything that he has not done before, researched thoroughly and tried himself, as he too has been in pain before and seeks a natural, healthy lifestyle without the use of dangerous prescription drugs or surgery. You can reach the office by calling (585) 248-5900. Our friendly staff will do their best to accommodate your schedule in setting appointments. We offer convenient hours and if you are in pain, we can assist you with same day appointments, weekend hours and emergency response. We believe in being prompt with appointment times and promise that you will spend minimal time in the waiting room. We encourage regularly scheduled maintenance visits and offer a friendly reminder call for your upcoming appointment. We accept most insurance plans including local providers, Excellus and Preferred Care/MVP, as well as many national plans. We have a competitive and fair cash fee for those whose insurance does not cover chiropractic care. EMERGENCIES - Please leave a message on our answering service. We will return your call. Fairport, Penfield, Mendon, Henrietta and other nearby towns in the Rochester, NY region.